For anyone who has the time and fortitude, there’s a very long, detailed and brutal post up on Zero Hedge about China’s insane (in the author’s eye) purchase of US debt and its long term implications, all of which, he says, are terrible. Some people in Asia burn joss paper, also called ghost money, on the Lunar New Year, to give their deceased ancestors something to spend in the afterlife. Because ghost money doesn’t represent a claim on any actual goods or services in this world, there is no reason for its issuers to exercise any particular restraint, and in Singapore it is possible to find notes issued by the First Bank of Hell, with the mythical Jade Emperor’s picture on the front, in denominations ranging into the millions and billions of dollars. Perhaps we’re counting on this charming tradition to make Asian investors comfortable with the prospect of continuing to add to their holdings of European and American sovereign debt, despite the obvious fact that the money they’ve already lent us is money they’ll never get a chance to spend in this life…. In fact, despite its façade of capitalism and modernity, the Party is still making Mao’s mistake of acting first and thinking later. Lending a lot of money to people who will never pay you back is only a symptom of the underlying folly – you have to believe in something that isn’t true to believe that such an insane project is going to work out in the way you want it to, and any fixed untrue belief will eventually injure you somehow…. In order to see how/why he arrives at this extreme conclusion you need to wade through the whole thing. Let me say straightaway that I have serious issues with this article, which has a decidedly ethnocentric anti-China slant (though it’s none too kind to the US either). Despite the author’s being a post-doctoral fellow at Princeton, the piece is riddled with ridiculous assertions (anyone who disagrees with the CCP’s policies gets sent off to work camps) and asinine references to Tiananmen Square and Chinese history. But his core point about the danger of China’s strategy-free purchase of US debt and where it might lead is quite interesting, and it’s definitely a fun read (as are the comments). He’s no expert in finance, obviously. If you had 100 billion dollars, what’s the safest investment you could make? Outside of a wumaodang post, I don’t think I’ve ever seen someone get so much completely wrong in a single article. A small man makes small mistakes; a Princeton post-doc makes huge ones. For all its western ethnocentric flavour, a brilliant article with a touch of genius and craziness. And probably beyond Princeton’s code of conduct. One of the FT’s leading economists, Martin Wolf, puts it in different terms, using the ants and the grasshoppers in the Aesop fable as the analogy, but his conclusion – essentially saying it’s likely to end badly – is not too different. His guest post is on a site filled with posts about technical indicators for stock investing. Browsing around on the site, I got served the following ads: (1) a paeon to Chris Christie, the budget-slashing Republican governor of New Jersey (2) a Fox News-type “Are you outraged?” ad about the evils of deficit spending (3) an ad extolling Jim Cramer, the CNBC stock-picking idiot. Apparently Google has concluded that these are the demographics of the site’s visitors. Zero Hedge is not at all a Fox News or Front Page-type site, but thanks for trying to smear them. Having a PhD in Philosophy from Princeton is nothing to sneeze at, and if you had read Cloud’s full bio (and I’m sure you did, and then cherry-picked what you wanted to smear the guy) you’d see he’s also a founding partner of a financial management company. But nice try. For the record, I did call out the writer’s ethnocentrism and poor grasp of China’s sociopolitical history. His piece is definitely an interesting read on several levels, though, as I also said, his predictions may be totally wrong (or right). I just don’t know, and will let the reader decide. Eco, you are exactly right. His article is cute but don’t forget that in the case of a default, China has nearly a trillion in Western assets they could nationalize as a sort of rapid-response. China licenses $100 in IP from American companies every year, a few billion more or less than how much America pays out in interest per year. How original, another “China is Japan because they all have black hair!” piece. Astounding revelations! Actually lirelou I think it was a mix of Ivy leaguers with a dash of MIT financial engineering graduates. Richard, I think you’re too easily impressed. He’s a postdoctoral fellow at Princeton — his PhD in Philosophy is from Columbia. But no matter, an Ivy PhD is still an Ivy PhD. Well, I’m glad he made some Wall Street connections when he was at Columbia — but I have connections in the finance industry, too. In other words, you’re dazzled by taking all his credentials at face value. I’m not dazzled — because I know what these credentials mean. You think I’m trying to “smear” him by “cherry-pick[ing]” facts. Of course. I picked the facts that show that he has the same amount of credibility on this topic as any random guy posting on SeekingAlpha. And yes, I do realize that Zero Hedge tries to be an economic commenter on indicators — but please do a little reading between the lines. “Failure Of Obama’s Pet ShoreBank”? Even better, look at the comments on that article — or on some of the other articles on the site. Then compare them to the comments on the Daniel Cloud article (which probably has a lot of first-time visitors). I’d say Google’s ad-serving algorithm has figured out the site’s typical visitor demographic just about right. What is a respectable PhD then? Does MIT count? I’m thinking about getting a PhD myself in my moments of drunken debauchery, and I’d hate it if I worked for 5 years to get one and then people would laugh at me. 1) There are several things with which I could take issue in that article, but I think the monetary aspect of his argument is largely correct. 2) Comments on here are obviously made by members of a lefty clique to whom laying out an argument as to why the author has it wrong is an unnecessary distraction from the pressing need to have one’s one’s delicate lefty sensibilities re-affirmed by snotty and fatuous comments from other members of the clique. I largely agree with the “China shouldn’t be buying so much US debt because it will do bad things in the future” but I was struck by a series of assumptions the author baked in, seemingly without acknowledging that he would not explore the ideas further but still asserting their correctness. Social Security reform, for example. B.S. – well, we all know what that is. PhD – Piled Higher and Deeper. That is to say, the best thing a PhD can do for you is help you learn that you have to ask “Why?” and not, as some think, help you learn how to assert that you are correct in your own estimation. If 19790204 is your birthday, you got your PhD when you were awfully young. Congratulations! So, erm, should I do it? PhD – it’s good if applied well. Most PhDs I know are very good at what they researched but useless outside of that field. Generally speaking, a Masters will be profitable, even if you have to pay for tuition out-of-pocket. A PhD will not be profitable if you already hold a Masters — even though you are fully-supported and are paid a stipend. This is due to the opportunity costs of the foregone earnings in industry. But money isn’t everything in the world. If a PhD will give you more self-respect, or will fulfill your thirst for knowledge, or will improve your life in some other way — then ignore the economics and go for it. But be sure to go into it with your eyes wide open. There are many people who go for a PhD as the default option — and that’s a terrible reason to do a PhD. Yes, I was quite young – I have been in the working world since I was 27. English PhDs take only 3-4 years. I think it depends on why you want the PhD. My brother, for example, has a masters in entomology (study of insects) but will not really be able to do what he really wants to do – lead research. So he’s going back for a PhD, and it’s the only way, really, that he’ll be able to do what he wants to do. Other people get PhDs because they LOVE their topic of study and can’t imagine not doing it. I think both of these reasons are legit. Otherwise, a Masters might be better. 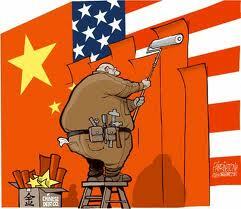 The problem is not China buying US debt, it is that the export model China has followed is unsustainable. Read “Is China Turning into Japan” by Michael Pettis, an economist teaching finance at China’s best business school.